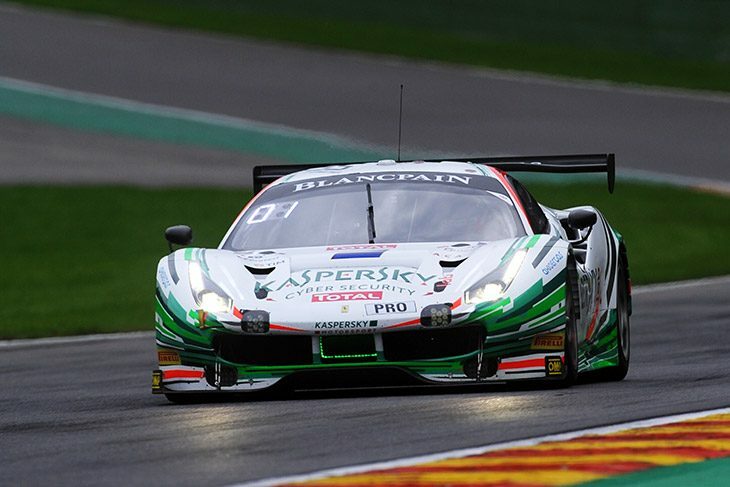 The #55 Kaspersky Racing Ferrari will start the 2017 Spa 24 Hours from pole position after James Calado topped Friday evening’s top 20 ‘Super Pole’ shootout at the Ardennes track with a time of 2:17.390. 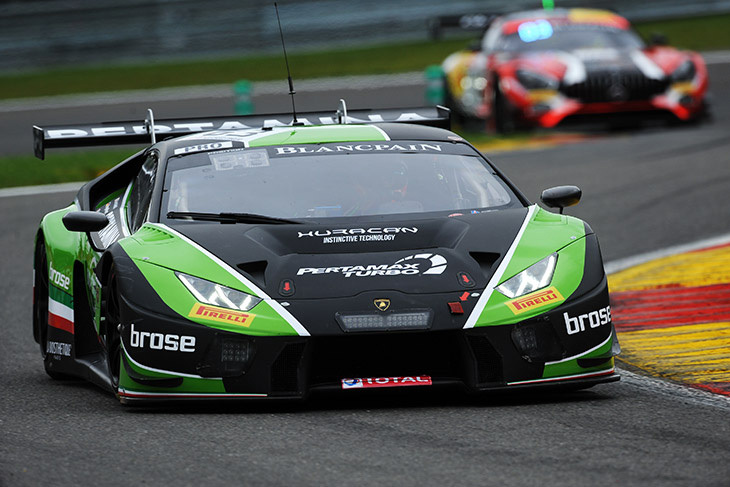 And it’ll be an all-Italian-car front row, with the championship-leading #63 Grasser Racing Lamborghini (above) lining up second courtesy of Mirko Bortolotti’s 2:17.447 effort. 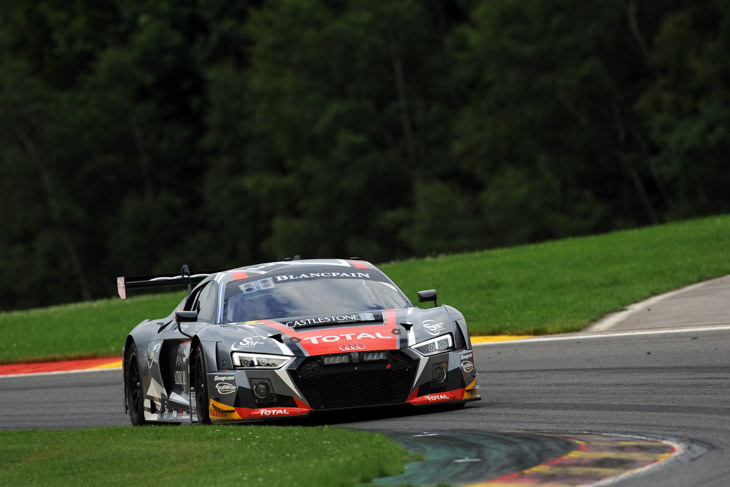 Fred Vervisch put in an impressive performance to have the #2 WRT Audi (above) third alongside Laurens Vanthoor in the #117 Team75 Porsche on the second row. 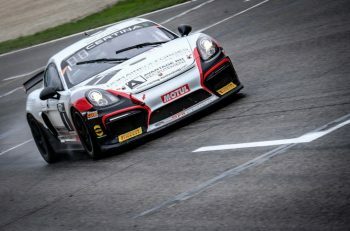 Vanthoor and fifth-place qualifier Johnny Adam (Oman Racing Aston Martin) set identical lap times of 2:17.674, with Adam’s car being the only Pro-Am entry to make it into the top 20. 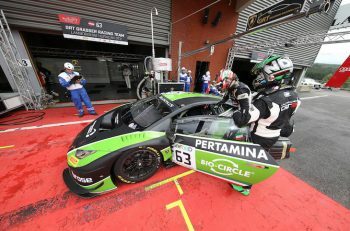 Each of the 20 fastest cars from Thursday’s combined qualifying classification had two clear laps of the circuit and the teams were free to nominate any one of their cars’ drivers for the task. 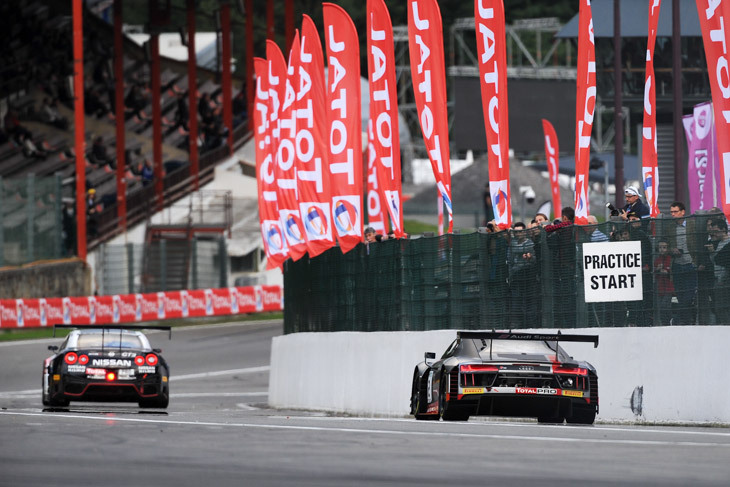 Before the shootout, a 30-minute warm-up session was topped by Schmid in the #75 ISR Audi, ahead of Rast in the #1 WRT Audi. 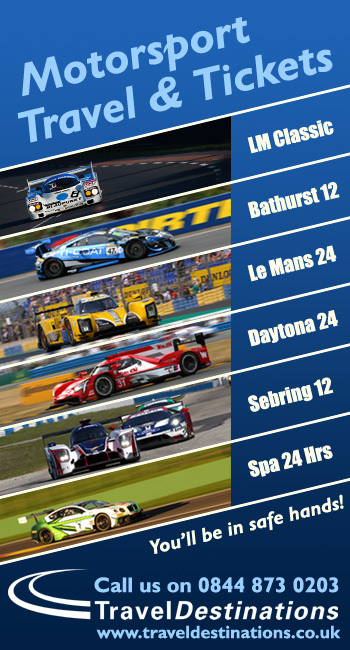 It also saw both the rebuilt #22 Motul Nissan and replaced #00 Goodsmile Mercedes get back on track for a shakedown after their Thursday shunts.